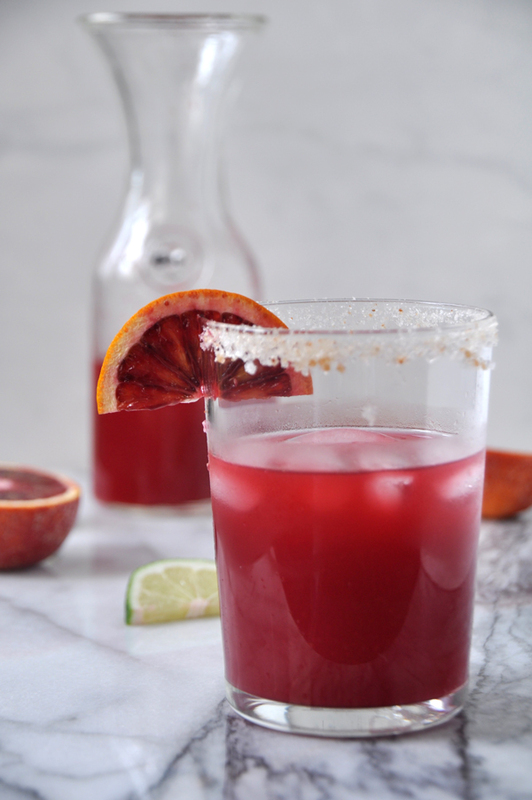 These blood orange margaritas are amazing and delicious. The fresh blood orange juice is bright and tart and along with a little lime juice, makes one heck of a delicious margarita. You need to try them right now. Or better yet, we can do this margarita cleanse together. We can do progress reports on how we are doing and how many we have had. All in the name of good health. What do you think? I am going to be offline for a couple days but I promise to report back with some pics next week. You can always follow along on Instagram.